However, in 2015 that’s less straightforward than it’s been in the past. There are so many five-star federal safety ratings, so many very well-stocked safety feature lists, and so many Top Safety Picks from the Insurance Institute for Highway Safety (IIHS)—71 of them in all—that it’s hard to filter out those that are the best from those that are merely better than average. Real-world data has shown that forward collision warning systems, and such systems that automatically brake, do help drivers avoid crashes at both low and moderate speeds; and there’s evidence that they reduce the severity of what would have been higher-speed accidents. So the IIHS now includes their evaluation of these frontal systems in its ratings, requiring an array of top-tier crash ratings as well as the Institute’s ‘Advanced’ or ‘Superior’ level of front crash prevention to get its best ‘Top Safety Pick+’ (TSP+) nod. That narrows the field somewhat; there are 33 of those (TSP+) honor-rollers so far, and likely many more to be named by the end of the year. So to whittle the list of candidates to a smaller group yet, we’ve cross-referenced those TSP+ choices with models that earn a top five-star rating from the federal government both overall and in frontal and side impact tests. That’s what we do in assigning our ‘perfect 10’ ratings for Safety, and it is a great starting point for safety-concerned shoppers. 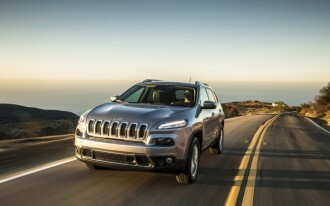 It’s certainly not a comprehensive list of the safest models, as there are plenty of luxury-badged models that have a solid reputation for real-world safety, as confirmed by insurance claims and accident reports, yet no crash-test ratings. 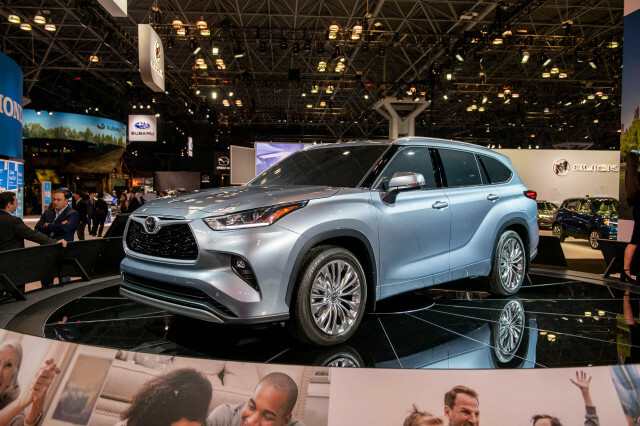 And furthermore, many models offer active-safety features that likely cut your chances of an accident even more, or would help lessen the severity. 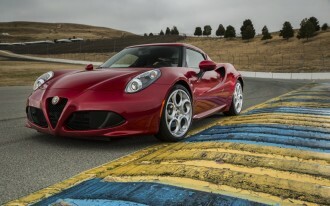 As always, we caution that it goes beyond simply choosing a particular model. Alongside these lists and ratings, you need to feel comfortable with a vehicle in order for it to be safe. That means fitting well in the car, being able to see out of it, and being at ease driving it and using the technology on board—and paying lots of attention to those things at the dealership and on the test drive. With that information in mind, click through to see all the top achievers in safety for 2015, thus far. 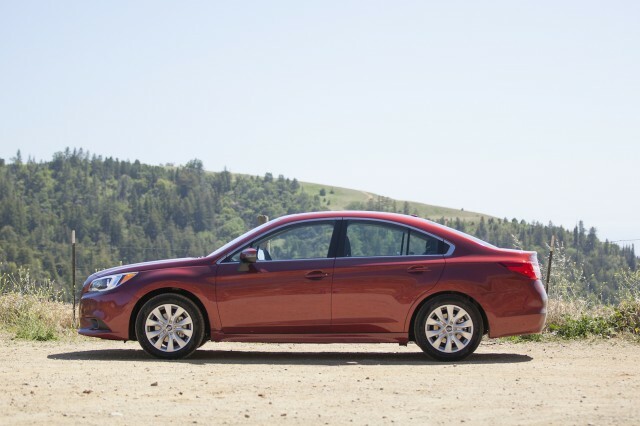 The 2015 Subaru Legacy achieves top-notch results from the federal government and the IIHS—in every single category. What makes it stand out, even above other models that achieve the same, is that it’s also one of the few models to manage the IIHS ‘Superior’ front crash prevention rating when equipped with the optional EyeSight system. 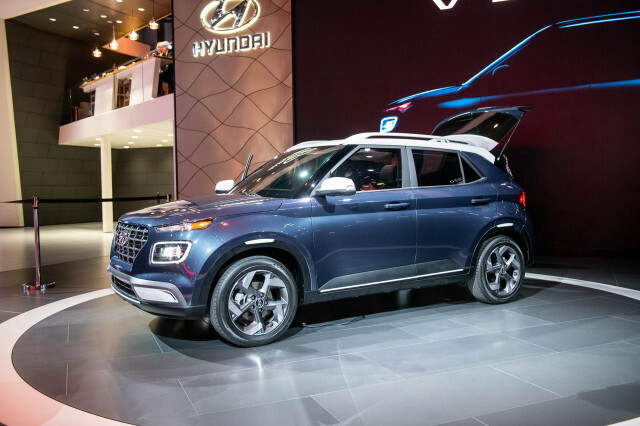 Even better, we think, is that you don’t have to go for the most expensive model in the lineup to get that potential life-saver; it’s available on the affordable Premium models, where you can add it and get a sedan with things like Blind Spot Detection, Rear Cross Traffic Alert, lane-departure alert, adaptive cruise control, and a system that can brake you to a stop short of an imminent collision in some cases or lessen the severity of one by reducing speeds. And this is all in a vehicle that sums to less than $25,500. 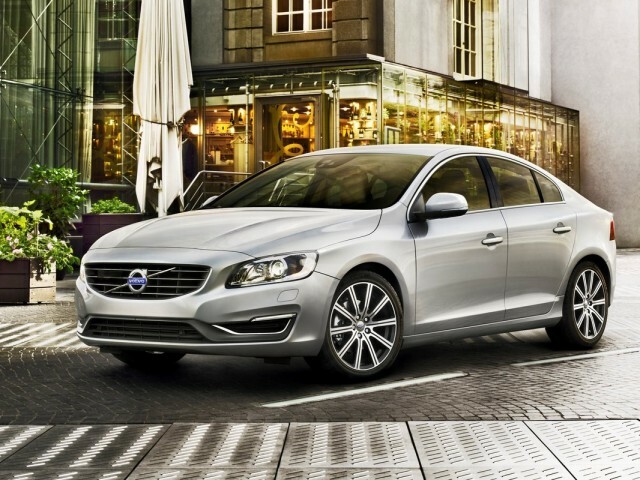 Going by test results and crash-test ratings from the Insurance Institute for Highway Safety (IIHS) and the federal government, the 2015 Volvo S60 could be the safest car on the market. 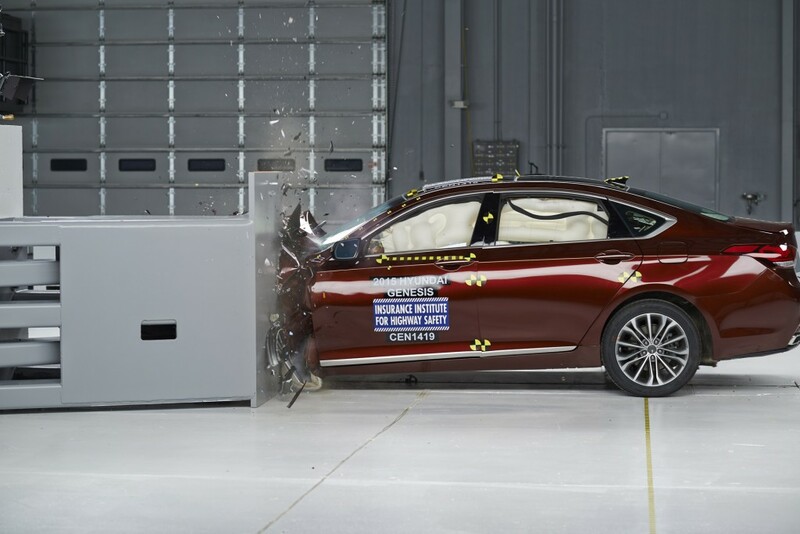 It’s the paragon of safety if you place a lot of emphasis on crash-test results, with a perfect flush of five-star ratings from the federal government and top ‘good’ results in every single area from the IIHS. And there's a lot of active safety on offer, if you're willing to check a few option boxes. It’s also for years been one of the top performers according to the insurance industry, with some of the lowest rates of injury related insurance losses among luxury sedans. 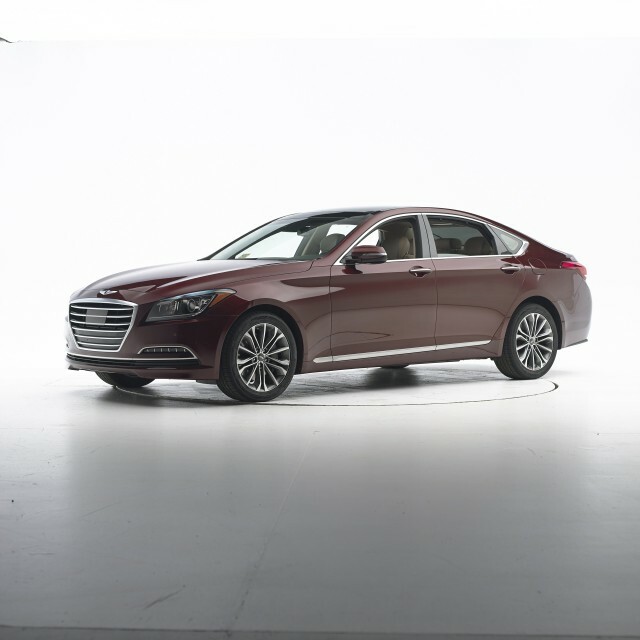 The Genesis serves as the flagship luxury model for Hyundai’s range of vehicles; but it deserves to make shoppers’ shortlists as much for safety as for features and creature comforts, The available Automatic Emergency Braking system that’s available in the Genesis, as part of the Technology Package, is one of the few active-safety systems to be rated as ‘Superior’ in IIHS testing. Furthermore, the fully optioned Genesis has a critical mass of active-safety items (what Hyundai calls the Sensory Surround Safety System), including things like Blind Spot Detection (BSD), Rear Cross-Traffic Alert (RCTA), and Lane Change Assist (LCA)—as well as Lane Keep Assist (LKA), which will actually make mild steering corrections to help keep you in your lane if attention lapses. 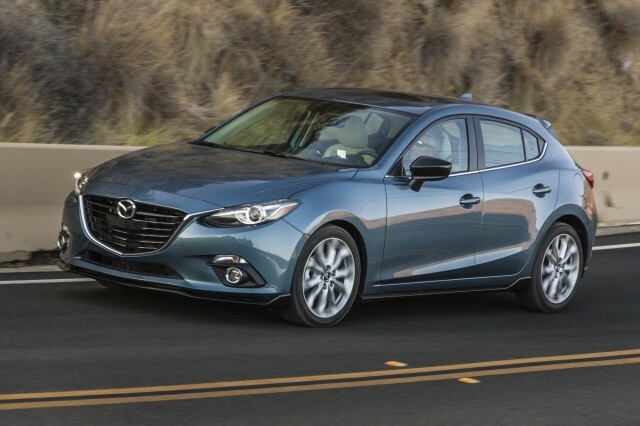 The 2015 Mazda 3 is a charming family of compact sedans and hatchbacks, and it already earns our recognition as one of the best-looking, most fun-to-drive cars in its class. So it’s some icing on the cake, so to say, to find out that the Mazda 3 is also one of the safest. Much of the lineup now gets Blind Spot Monitoring, Rear Cross Traffic Alert, and a rearview camera system, and with the available Smart City Brake Support and Forward Collision Warning systems, using laser sensors to anticipate an imminent collision and activate emergency braking, you can get the active-safety systems that usually require a luxury badge—in a car that’s still quite affordable. Mercedes-Benz has, for decades, made some of the vehicles with the lowest rates of fatality and injury. 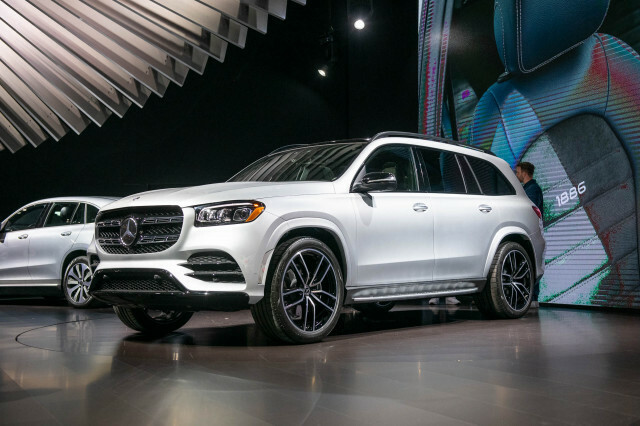 Relatively few of its current models have been rated by both U.S. agencies—which keeps more of them from being given a perfect ‘10’ in safety—but the M-Class stands as an exception. It’s earned top ratings in both crash-test protocols, and its set of active-safety items is one of the best in its class. Collision Prevention Assist is a standard feature on the M-Class, as is Attention Assist, which can warn you if it thinks you’re too drowsy. Add the optional Pre-Safe Brake feature that’s part of the Driver Assistance Package, and you add even more accident-prevention odds improvement. With it, the M-Class earns an IIHS ‘Superior’ rating. By the way, there’s change in store for this model line, but it shouldn’t be to the detriment of safety. 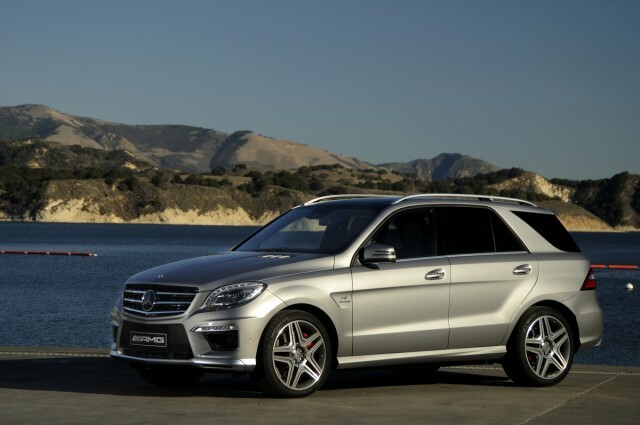 Look for the upcoming 2016 Mercedes-Benz GLE-Class to continue the M-Class form factor (and its underpinnings), albeit with new badging, a refreshed cabin and other enhancements. 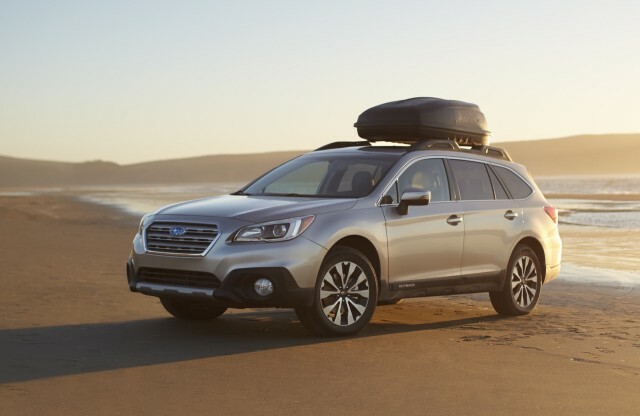 The Outback earns ratings that are, for the most part, just as great as those of the Legacy sedan on which it’s based. And Subaru, just as with the Legacy, makes its EyeSight active-safety package remarkably accessible; you can opt for the IIHS-top-rated system in all but the base model. 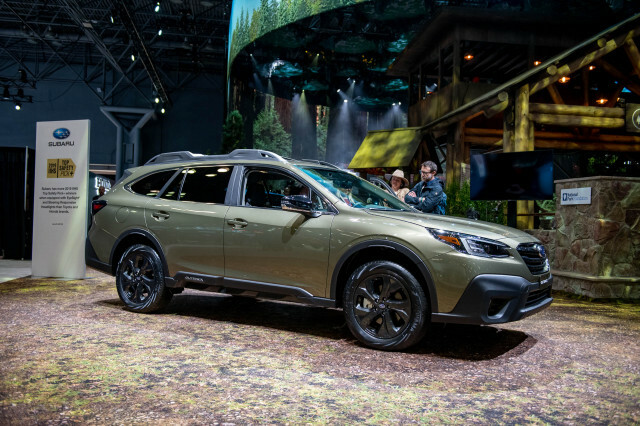 The Outback gets a slightly lower rating than the Legacy, if you count its four-star federal rollover rating, but that’s determined by geometry, not any lack of emergency handling—and the higher structure might actually aid occupant protection in crashes with taller SUVs. In its last-generation version that was on sale until last year, the Chrysler 200 had a mottled set of crash-test ratings and safety scores. 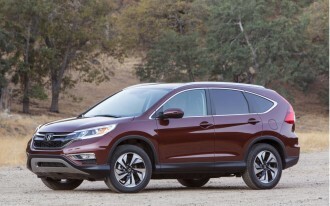 Now with the completely redesigned 2015 model, that’s no longer the case, and the IIHS and federal ratings are in agreement. 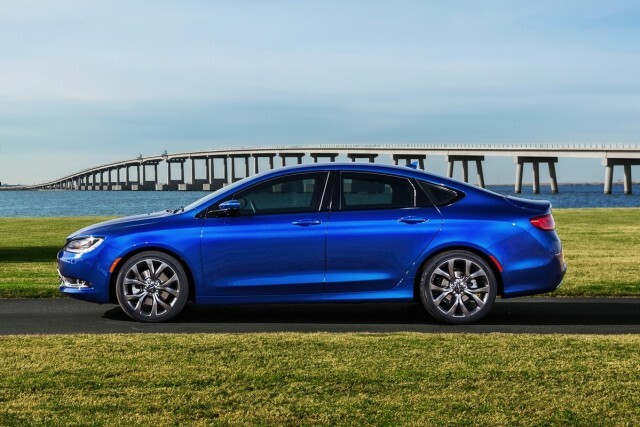 The 2015 Chrysler 200 gets top-tier ratings from each, as well as a next-to-the-top ‘Superior’ rating for front crash prevention, with the optional Safety Tec package that adds Full Speed Forward Collision Plus. 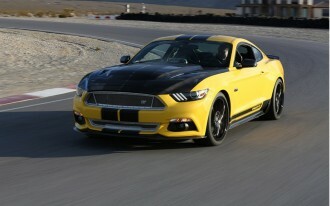 The only downside: It’s only offered on the top-of-the-line 200C. 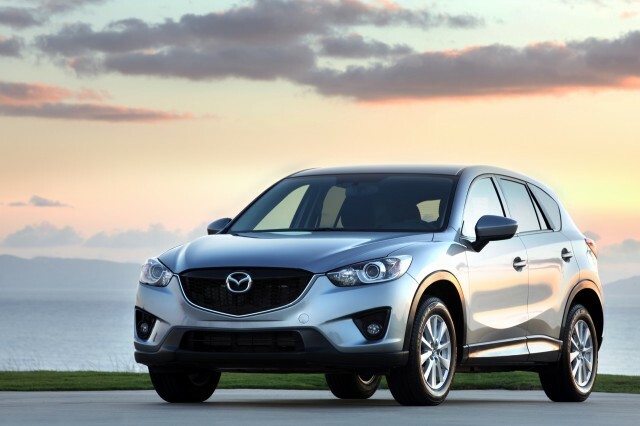 Going by crash-test results, the 2015 Mazda CX-5 is the top performer in its class, with five stars in all the federal crash categories, as well as top ‘good’ results from the IIHS in every single category—and the IIHS ‘Advanced’ rating for front crash prevention when equipped with the optional Smart City Brake Support, which will brake you automatically for hazards at speeds ranging from 4 to 19 mph. To get that feature, you do need to step up to the top-of-the-line Grand Touring model and its Technology Package; but at $31,475 in all-wheel-drive guise, we’d still consider it a good value.